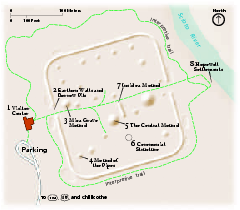 Official NPS map of Hopewell Culture National Historical Park in Ohio. 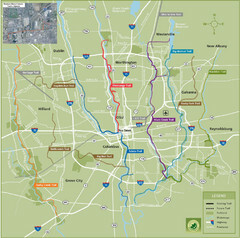 Map shows all areas. he parkââ‚¬â„¢s Visitor Center is open seven days a week from 8:30 a.m. to 5:00 p.m. Between Memorial Day to Labor Day the Visitor Center is open 8:30 a.m. to 6:00 p.m. The Visitor Center is closed January 1, Thanksgiving Day, and December 25.